Official Samsung Galaxy Note 8 user manual in English language (UK) is for Samsung Galaxy Note 8 sold in the international market including Europe, Latin America, Middle East, Africa and Asia with Android Nougat 7.1. The corresponding model number includes SM-N950F and SM-N950F/DS. If you cannot find the Galaxy Note 8 user manual for your Galaxy Note 8, you may try this one. Download link (in PDF): Official Samsung Galaxy Note 8 user manual in English language (UK) for international versions of Galaxy Note 8 (Android Nougat 7.1, English, Europe, Latin America, Middle East, Africa and Asia, SM-N950F and SM-N950F/DS). AT&T official Samsung Galaxy Note 8 user manual in English language (US) is for Samsung Galaxy Note 8 sold to AT&T users in the US with Android Nougat 7.1. The corresponding model number includes SM-N950U. If you cannot find the Galaxy Note 8 user manual for your Galaxy Note 8, you may try the first one. Download link (in PDF): AT&T official Samsung Galaxy Note 8 user manual in English language (US) for AT&T versions of Galaxy Note 8 (Android Nougat 7.1, English, AT&T, SM-N950U). AT&T official Samsung Galaxy Note 8 user manual in Spanish language (español) is for Samsung Galaxy Note 8 sold to AT&T users in the US with Android Nougat 7.1. The corresponding model number includes SM-N950U. Download link (in PDF): AT&T official Samsung Galaxy Note 8 user manual in Spanish language (español) for AT&T versions of Galaxy Note 8 (Android Nougat 7.1, Spanish, español, AT&T, SM-N950U). T-Mobile official Samsung Galaxy Note 8 user manual in English language (US) is for Samsung Galaxy Note 8 sold to T-Mobile users in the US with Android Nougat 7.1. The corresponding model number includes SM-N950U. Download link (in PDF): T-Mobile official Samsung Galaxy Note 8 user manual in English language (US) for T-Mobile versions of Galaxy Note 8 (Android Nougat 7.1, English, T-Mobile, SM-N950U). T-Mobile official Samsung Galaxy Note 8 user manual in Spanish language (español) is for Samsung Galaxy Note 8 sold to T-Mobile users in the US with Android Nougat 7.1. The corresponding model number includes SM-N950U. 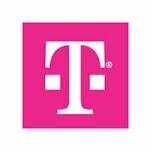 Download link (in PDF): T-Mobile official Samsung Galaxy Note 8 user manual in Spanish language (español) for T-Mobile versions of Galaxy Note 8 (Android Nougat 7.1, Spanish, español, T-Mobile, SM-N950U). Verizon official Samsung Galaxy Note 8 user manual in English language (US) is for Samsung Galaxy Note 8 sold to Verizon users in the US with Android Nougat 7.1. The corresponding model number includes SM-N950U. 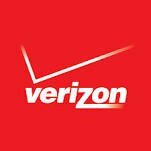 Download link (in PDF): Verizon official Samsung Galaxy Note 8 user manual in English language (US) for Verizon versions of Galaxy Note 8 (Android Nougat 7.1, English, Verizon, SM-N950U). Verizon official Samsung Galaxy Note 8 user manual in Spanish language (español) is for Samsung Galaxy Note 8 sold to Verizon users in the US with Android Nougat 7.1. The corresponding model number includes SM-N950U. Download link (in PDF): Verizon official Samsung Galaxy Note 8 user manual in Spanish language (español) for Verizon versions of Galaxy Note 8 (Android Nougat 7.1, Spanish, español, Verizon, SM-N950U). Sprint official Samsung Galaxy Note 8 user manual in English language (US) is for Samsung Galaxy Note 8 sold to Sprint users in the US with Android Nougat 7.1. The corresponding model number includes SM-N950U. Download link (in PDF): Sprint official Samsung Galaxy Note 8 user manual in English language (US) for Sprint versions of Galaxy Note 8 (Android Nougat 7.1, English, Sprint, SM-N950U). Sprint official Samsung Galaxy Note 8 user manual in Spanish language (español) is for Samsung Galaxy Note 8 sold to Sprint users in the US with Android Nougat 7.1. The corresponding model number includes SM-N950U. Download link (in PDF): Sprint official Samsung Galaxy Note 8 user manual in Spanish language (español) for Sprint versions of Galaxy Note 8 (Android Nougat 7.1, Spanish, español, Verizon, SM-N950U). US Cellular official Samsung Galaxy Note 8 user manual in English language (US) is for Samsung Galaxy Note 8 sold to US Cellular users in the US with Android Nougat 7.1. The corresponding model number includes SM-N950U. Download link (in PDF): US Cellular official Samsung Galaxy Note 8 user manual in English language (US) for US Cellular versions of Galaxy Note 8 (Android Nougat 7.1, English, US Cellular, SM-N950U). US unlocked official Samsung Galaxy Note 8 user manual in English language (US) is for Samsung Galaxy Note 8 sold as unlocked to users in the US with Android Nougat 7.1. The corresponding model number includes SM-N950U1. Download link (in PDF): US unlocked official Samsung Galaxy Note 8 user manual in English language (US) for US unlocked versions of Galaxy Note 8 (Android Nougat 7.1, English, US Cellular, SM-N950U1). Official Samsung Galaxy Note 8 user manual in Portuguese language (português) is for Samsung Galaxy Note 8 sold in Portugal market with Android Nougat 7.1. The corresponding model number includes SM-N950F and SM-N950F/DS. Download link (in PDF): Official Samsung Galaxy Note 8 user manual in Portuguese language (português) (Android Nougat 7.1, Portuguese language, português, Portugal, SM-N950F and SM-N950F/DS). Official Samsung Galaxy Note 8 user manual in German language (Deutsch) is for Samsung Galaxy Note 8 sold in Germany market with Android Nougat 7.1. The corresponding model number includes SM-N950F and SM-N950F/DS. Download link (in PDF): Official Samsung Galaxy Note 8 user manual in German language (Deutsch) (Android Nougat 7.1, German language (Deutsch), Germany, SM-N950F and SM-N950F/DS). Official Samsung Galaxy Note 8 user manual in Slovenian Language (slovenski jezik) is for Samsung Galaxy Note 8 sold in Slovenia market with Android Nougat 7.1. The corresponding model number includes SM-N950F and SM-N950F/DS. Download link (in PDF): Official Samsung Galaxy Note 8 user manual in Slovenian Language (slovenski jezik) (Android Nougat 7.1, Slovenian Language (slovenski jezik), Slovenia, SM-N950F and SM-N950F/DS). Official Samsung Galaxy Note 8 user manual in Simplified Chinese language (简体中文) is for Samsung Galaxy Note 8 sold in international market including Europe, Latin America, Middle East, Africa and Asia except China with Android Nougat 7.1. The corresponding model number includes SM-N950F and SM-N950F/DS. Download link (in PDF): Official Samsung Galaxy Note 8 user manual in Simplified Chinese language (简体中文) for international versions of Galaxy Note 8 (Android Nougat 7.1, Simplified Chinese language (简体中文), Europe, Latin America, Middle East, Africa and Asia, SM-N950F and SM-N950F/DS). Official Samsung Galaxy Note 8 user manual in Traditional Chinese language (正體中文) is for Samsung Galaxy Note 8 sold in Taiwan market with Android Nougat 7.1. The corresponding model number includes SM-N950F and SM-N950F/DS. Download link (in PDF): Official Samsung Galaxy Note 8 user manual in Traditional Chinese language (正體中文) (Android Nougat 7.1, Traditional Chinese language (正體中文), Taiwan, SM-N950F and SM-N950F/DS). Official Samsung Galaxy Note 8 user manual in Traditional Chinese language (正體中文) is for Samsung Galaxy Note 8 sold in the Hong Kong market with Android Nougat 7.1. The corresponding model number includes SM-N9500. Download link (in PDF): Official Samsung Galaxy Note 8 user manual in Traditional Chinese language (正體中文) (Android Nougat 7.1, Traditional Chinese language (正體中文), Hong Kong, SM-N9500). Official Samsung Galaxy Note 8 user manual in English language (Hong Kong) is for Samsung Galaxy Note 8 sold in the Hong Kong market with Android Nougat 7.1. The corresponding model number includes SM-N9500. Download link (in PDF): Official Samsung Galaxy Note 8 user manual in English language (Hong Kong) (Android Nougat 7.1, English, Hong Kong, SM-N9500). Official Samsung Galaxy Note 8 user manual in Korean language (한국어) is for Samsung Galaxy Note 8 sold in South Korea market with Android Nougat 7.1. The corresponding model number includes SM-N950N. Download link (in PDF): Official Samsung Galaxy Note 8 user manual in Korean language (한국어) (Android Nougat 7.1, Korean language (한국어), South Korea, SM-N950N). Official Samsung Galaxy Note 8 user manual in Indonesian language (Bahasa Indonesia) is for Samsung Galaxy Note 8 sold in Indonesia market with Android Nougat 7.1. The corresponding model number includes SM-N950F and SM-N950F/DS. Download link (in PDF): Official Samsung Galaxy Note 8 user manual in Indonesian language (Bahasa Indonesia) (Android Nougat 7.1, Indonesian language (Bahasa Indonesia), Indonesia, SM-N950F and SM-N950F/DS). Official Samsung Galaxy Note 8 user manual in Vietnamese language (Tiếng Việt) is for Samsung Galaxy Note 8 sold in Vietnam market with Android Nougat 7.1. The corresponding model number includes SM-N950F and SM-N950F/DS. Download link (in PDF): Official Samsung Galaxy Note 8 user manual in Vietnamese language (Tiếng Việt) (Android Nougat 7.1, Vietnamese language (Tiếng Việt) , Vietnam, SM-N950F and SM-N950F/DS). Official Samsung Galaxy Note 8 user manual in Thai language (Siamese, ภาษาไทย phasa thai) is for Samsung Galaxy Note 8 sold in Thailand market with Android Nougat 7.1. The corresponding model number includes SM-N950F and SM-N950F/DS. Download link (in PDF): Official Samsung Galaxy Note 8 user manual in Thai language (Siamese, ภาษาไทย phasa thai) (Android Nougat 7.1, Thai language (Siamese, ภาษาไทย phasa thai), Thailand, SM-N950F and SM-N950F/DS). Official Samsung Galaxy Note 8 user manual in the Arabic language (العربية/عربي al-ʻarabiyyah/ʻarabī ) is for Samsung Galaxy Note 8 sold in the Middle East market with Android Nougat 7.1. The corresponding model number includes SM-N950F and SM-N950F/DS. Download link (in PDF): Official Samsung Galaxy Note 8 user manual in the Arabic language (العربية/عربي al-ʻarabiyyah/ʻarabī ) (Android Nougat 7.1, Arabic language (العربية/عربي al-ʻarabiyyah/ʻarabī ), the Middle East, SM-N950F and SM-N950F/DS). Official Samsung Galaxy Note 8 user manual in Persian language (Parsi / Farsi; فارسی / پارسی) is for Samsung Galaxy Note 8 sold in the Middle East market with Android Nougat 7.1. The corresponding model number includes SM-N950F and SM-N950F/DS. Download link (in PDF): Official Samsung Galaxy Note 8 user manual in Persian language (Parsi / Farsi; فارسی / پارسی) (Android Nougat 7.1, Persian language (Parsi / Farsi; فارسی / پارسی), the Middle East, SM-N950F and SM-N950F/DS). Official Samsung Galaxy Note 8 user manual in Turkish language (Türkçe) is for Samsung Galaxy Note 8 sold in Turkey market with Android Nougat 7.1. The corresponding model number includes SM-N950F and SM-N950F/DS. Download link (in PDF): Official Samsung Galaxy Note 8 user manual in Turkish language (Türkçe) (Android Nougat 7.1, Turkish language (Türkçe), Turkey, SM-N950F and SM-N950F/DS). Official Samsung Galaxy Note 8 user manual in Spanish language (español) is for Samsung Galaxy Note 8 sold in Spain market with Android Nougat 7.1. The corresponding model number includes SM-N950F and SM-N950F/DS. Download link (in PDF): Official Samsung Galaxy Note 8 user manual in Spanish language (español) (Android Nougat 7.1, Spanish language (español), Spain, SM-N950F and SM-N950F/DS). Official Samsung Galaxy Note 8 user manual in Polish language (język polski) is for Samsung Galaxy Note 8 sold in Poland market with Android Nougat 7.1. The corresponding model number includes SM-N950F and SM-N950F/DS. Download link (in PDF): Official Samsung Galaxy Note 8 user manual in Polish language (język polski) (Android Nougat 7.1, Polish language (język polski), Poland, SM-N950F and SM-N950F/DS). Official Samsung Galaxy Note 8 user manual in Slovak language (slovenčina, slovenský jazyk) is for Samsung Galaxy Note 8 sold in Slovakia market with Android Nougat 7.1. The corresponding model number includes SM-N950F and SM-N950F/DS. Download link (in PDF): Official Samsung Galaxy Note 8 user manual in Slovak language (slovenčina, slovenský jazyk) (Android Nougat 7.1, Slovak language (slovenčina, slovenský jazyk), Slovakia, SM-N950F and SM-N950F/DS). Official Samsung Galaxy Note 8 user manual in the Serbian language (српски/srpski) is for Samsung Galaxy Note 8 sold in Serbia market with Android Nougat 7.1. The corresponding model number includes SM-N950F and SM-N950F/DS. Download link (in PDF): Official Samsung Galaxy Note 8 user manual in Serbian language (српски/srpski) (Android Nougat 7.1, Serbian language (српски/srpski), Serbia, SM-N950F and SM-N950F/DS). Official Samsung Galaxy Note 8 user manual in Macedonian language (македонски, makedonski) is for Samsung Galaxy Note 8 sold in Republic of Macedonia market with Android Nougat 7.1. The corresponding model number includes SM-N950F and SM-N950F/DS. Download link (in PDF): Official Samsung Galaxy Note 8 user manual in Macedonian language (македонски, makedonski) (Android Nougat 7.1, Macedonian language (македонски, makedonski), Republic of Macedonia, SM-N950F and SM-N950F/DS). Official Samsung Galaxy Note 8 user manual in the Romanian language (limba română) is for Samsung Galaxy Note 8 sold in Romania market with Android Nougat 7.1. The corresponding model number includes SM-N950F and SM-N950F/DS. Download link (in PDF): Official Samsung Galaxy Note 8 user manual in the Romanian language (limba română) (Android Nougat 7.1, Romanian language (limba română), Romania, SM-N950F and SM-N950F/DS). Official Samsung Galaxy Note 8 user manual in the Ukrainian language (українська мова ukrayins’ka mova) is for Samsung Galaxy Note 8 sold in Ukraine market with Android Nougat 7.1. The corresponding model number includes SM-N950F and SM-N950F/DS. Download link (in PDF): Official Samsung Galaxy Note 8 user manual in Ukrainian language (українська мова ukrayins’ka mova) (Android Nougat 7.1, Ukrainian language (українська мова ukrayins’ka mova), Ukraine, SM-N950F and SM-N950F/DS). Official Samsung Galaxy Note 8 user manual in Kazakh language (Қазақ тілі, qazaq tili, قازاق تىلى‎) is for Samsung Galaxy Note 8 sold in Kazakhstan market with Android Nougat 7.1. The corresponding model number includes SM-N950F and SM-N950F/DS. Download link (in PDF): Official Samsung Galaxy Note 8 user manual in Kazakh language (Қазақ тілі, qazaq tili, قازاق تىلى‎) (Android Nougat 7.1, Kazakh language (Қазақ тілі, qazaq tili, قازاق تىلى‎), Kazakhstan, SM-N950F and SM-N950F/DS). Official Samsung Galaxy Note 8 user manual in Italian Language (Lingua italiana) is for Samsung Galaxy Note 8 sold in Italy market with Android Nougat 7.1. The corresponding model number includes SM-N950F and SM-N950F/DS. Download link (in PDF): Official Samsung Galaxy Note 8 user manual in Italian Language (Lingua italiana) (Android Nougat 7.1, Italian Language (Lingua italiana), Italy, SM-N950F and SM-N950F/DS). Official Samsung Galaxy Note 8 user manual in Hebrew language (עברית ʿIvrit) is for Samsung Galaxy Note 8 sold in Israel market with Android Nougat 7.1. The corresponding model number includes SM-N950F and SM-N950F/DS. Download link (in PDF): Official Samsung Galaxy Note 8 user manual in Hebrew language (עברית ʿIvrit) (Android Nougat 7.1, Hebrew language (עברית ʿIvrit), Israel, SM-N950F and SM-N950F/DS). Official Samsung Galaxy Note 8 user manual in Hungarian language (magyar) is for Samsung Galaxy Note 8 sold in Hungary market with Android Nougat 7.1. The corresponding model number includes SM-N950F and SM-N950F/DS. Download link (in PDF): Official Samsung Galaxy Note 8 user manual in Hungarian language (magyar) (Android Nougat 7.1, Hungarian language (magyar), Hungary, SM-N950F and SM-N950F/DS). Official Samsung Galaxy Note 8 user manual in the Greek language (ελληνικά) is for Samsung Galaxy Note 8 sold in Greece market with Android Nougat 7.1. The corresponding model number includes SM-N950F and SM-N950F/DS. Download link (in PDF): Official Samsung Galaxy Note 8 user manual in the Greek language (ελληνικά) (Android Nougat 7.1, Greek language (ελληνικά), Greece, SM-N950F and SM-N950F/DS). Official Samsung Galaxy Note 8 user manual in Estonian language (eesti keel) is for Samsung Galaxy Note 8 sold in Estonia market with Android Nougat 7.1. The corresponding model number includes SM-N950F and SM-N950F/DS. Download link (in PDF): Official Samsung Galaxy Note 8 user manual in Estonian language (eesti keel) (Android Nougat 7.1, Estonian language (eesti keel), Estonia, SM-N950F and SM-N950F/DS). Official Samsung Galaxy Note 8 user manual in Latvian language (Latviešu Valoda) is for Samsung Galaxy Note 8 sold in Latvia market with Android Nougat 7.1. The corresponding model number includes SM-N950F and SM-N950F/DS. Download link (in PDF): Official Samsung Galaxy Note 8 user manual in Latvian language (Latviešu Valoda) (Android Nougat 7.1, Latvian language (Latviešu Valoda), Latvia, SM-N950F and SM-N950F/DS). Official Samsung Galaxy Note 8 user manual in Russian language (русский язык) is for Samsung Galaxy Note 8 sold in Russia market with Android Nougat 7.1. The corresponding model number includes SM-N950F and SM-N950F/DS. Download link (in PDF): Official Samsung Galaxy Note 8 user manual in Russian language (русский язык) (Android Nougat 7.1, Russian language (русский язык), Russia, SM-N950F and SM-N950F/DS). Official Samsung Galaxy Note 8 user manual in Lithuanian language (lietuvių kalba) is for Samsung Galaxy Note 8 sold in Lithuania market with Android Nougat 7.1. The corresponding model number includes SM-N950F and SM-N950F/DS. Download link (in PDF): Official Samsung Galaxy Note 8 user manual in Lithuanian language (lietuvių kalba) (Android Nougat 7.1, Lithuanian language (lietuvių kalba), Lithuania, SM-N950F and SM-N950F/DS). Official Samsung Galaxy Note 8 user manual in Finnish Language (Suomen kieli) is for Samsung Galaxy Note 8 sold in Finland market with Android Nougat 7.1. The corresponding model number includes SM-N950F and SM-N950F/DS. Download link (in PDF): Official Samsung Galaxy Note 8 user manual in Finnish Language (Suomen kieli) (Android Nougat 7.1, Finnish Language (Suomen kieli), Finland, SM-N950F and SM-N950F/DS). Official Samsung Galaxy Note 8 user manual in Danish Language (dansk) is for Samsung Galaxy Note 8 sold in Denmark market with Android Nougat 7.1. The corresponding model number includes SM-N950F and SM-N950F/DS. Download link (in PDF): Official Samsung Galaxy Note 8 user manual in Danish Language (dansk) (Android Nougat 7.1, Danish Language (dansk), Denmark, SM-N950F and SM-N950F/DS). Official Samsung Galaxy Note 8 user manual in Norwegian language (norsk) is for Samsung Galaxy Note 8 sold in Norway market with Android Nougat 7.1. The corresponding model number includes SM-N950F and SM-N950F/DS. Download link (in PDF): Official Samsung Galaxy Note 8 user manual in Norwegian language (norsk) (Android Nougat 7.1, Norwegian language (norsk), Norway, SM-N950F and SM-N950F/DS). Official Samsung Galaxy Note 8 user manual in Swedish Language (svenska) is for Samsung Galaxy Note 8 sold in Sweden market with Android Nougat 7.1. The corresponding model number includes SM-N950F and SM-N950F/DS. Download link (in PDF): Official Samsung Galaxy Note 8 user manual in Swedish Language (svenska) (Android Nougat 7.1, Swedish Language (svenska), Sweden, SM-N950F and SM-N950F/DS). Official Samsung Galaxy Note 8 user manual in Czech language (čeština, český jazyk) is for Samsung Galaxy Note 8 sold in Czech Republic market with Android Nougat 7.1. The corresponding model number includes SM-N950F and SM-N950F/DS. Download link (in PDF): Official Samsung Galaxy Note 8 user manual in Czech language (čeština, český jazyk) (Android Nougat 7.1, Czech language (čeština, český jazyk), Czech Republic, SM-N950F and SM-N950F/DS). Official Samsung Galaxy Note 8 user manual in Croatian language (hrvatski) is for Samsung Galaxy Note 8 sold in Croatia market with Android Nougat 7.1. The corresponding model number includes SM-N950F and SM-N950F/DS. Download link (in PDF): Official Samsung Galaxy Note 8 user manual in Croatian language (hrvatski) (Android Nougat 7.1, Croatian language (hrvatski), Croatia, SM-N950F and SM-N950F/DS). Official Samsung Galaxy Note 8 user manual in the Bulgarian language (български език, bǎlgarski ezik) is for Samsung Galaxy Note 8 sold in Bulgaria market with Android Nougat 7.1. The corresponding model number includes SM-N950F and SM-N950F/DS. Download link (in PDF): Official Samsung Galaxy Note 8 user manual in Bulgarian language (български език, bǎlgarski ezik) (Android Nougat 7.1, Bulgarian language (български език, bǎlgarski ezik), Bulgaria, SM-N950F and SM-N950F/DS). Official Samsung Galaxy Note 8 user manual in the French language (le français) is for Samsung Galaxy Note 8 sold in France market with Android Nougat 7.1. The corresponding model number includes SM-N950F and SM-N950F/DS. Download link (in PDF): Official Samsung Galaxy Note 8 user manual in the French language (le français) (Android Nougat 7.1, French language (le français), France, SM-N950F and SM-N950F/DS). Official Samsung Galaxy Note 8 user manual in the Dutch language (Nederlands) is for Samsung Galaxy Note 8 sold in Netherlands market with Android Nougat 7.1. The corresponding model number includes SM-N950F and SM-N950F/DS. Download link (in PDF): Official Samsung Galaxy Note 8 user manual in the Dutch language (Nederlands) (Android Nougat 7.1, Dutch language (Nederlands), Netherlands, SM-N950F and SM-N950F/DS). Did you find the Samsung Galaxy Note 8 user manual in your language? If you cannot find the Samsung Galaxy Note 8 user guide in your language or for your Note8, please let us know in the comment box below. Unfortunately, Samsung didn’t release that version of use manual for Note 8.
do you have sm-n950n user manual in english version? Nope. SM-N950N is for Note 8 in Korean market and only Korean version of the user guide is available. You may try the English version for international model (#1). Where can I download the official Samsung Galaxy Note 8 user manual in Latvian? We will add it this weekend.Stay tuned. Where can I download the Sprint official Samsung Galaxy Note 8 user manual in Korean? No, for Sprint models, there are only English and Spanish. Only Note 8 models for the Korean carriers have Korean version of the user manual. We will add Korean version of Galaxy Note 8 user guide soon. But they are for Korean models, not for Sprint. Added two traditional Chinese version user manuals: one for SM-N9500 in Hong Kong, and the other for SM-N950F/DS for Taiwan.